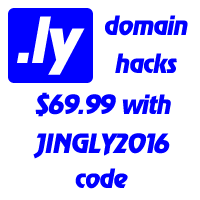 What Formspring.Me did for .ME, Plank.ly is still trying to do for .LY. Will it make it? The guys behind the project are confident they will. So far, like Formspring.Me they are doing well, even without plankly.com, which apparently was squoted earlier this year. As noticed in London tube today, Natural Hydration Council has launched a new campaign promoting drinking water of Highland Springs, Harrogate Spa, Volvic, Evian, Buxton, Speyside Glenlivet et al.